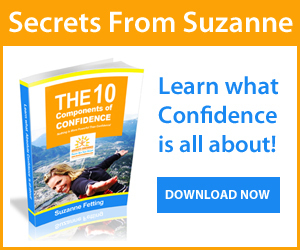 Believe it or not, you are constantly projecting your level of self-confidence to the people around you. It shows in many ways; your behaviour, your body language, your language, what you say and how you say it. when we have negative people in our lives. It’s very common for women to have men in their lives that out them down and belittle them, breaking down their confidence because they THEMSELVES lack confidence. Our confidence has a big impact on how we enjoy life. Many people have self-limiting beliefs and bad habits that hold them back from achieving optimal success and the living the life they have dreamed about. Nothing is more powerful than confidence and being confident changes everything! People who love themselves and are confident radiate strength, passion and conviction. A confident woman is not afraid to be herself. She knows who she is. Her values, purpose and her strengths and unique gifts. Building confidence must be something that you want to do for yourself, not for anyone else in your life. Many people will just settle with their current life and will not experience how incredibly rewarding it is to live a life filled with confidence, passion, purpose and enthusiasm because they lack the confidence and knowledge to do so. There is nothing wrong with wanting to feel better about yourself and to achieve more in life. Sometimes getting there is not easy and there are things that can happen along the way to make the path a lot longer and more difficult. Your confidence is NOT controlled by anyone else. That means that YOU have absolute control and can become confident at anytime in your life, regardless of your past experiences! the same for any period of time. It will either get stronger or weaker depending on how you use it. When you build your confidence it’s like exercising a muscle. It relies on small, incremental improvement on a daily basis. You won't run out to the gym and expect to have perfect muscles for life in just one hour. So, consistent confidence building is the only way to lasting confidence and happiness. It’s never too late to become confident and live the live you’ve dreamed of! We ALL deserve to be happy and to be living the life we dream of. With dedication and determination you can learn to love and trust yourself unconditionally --and everything in your life changes for the better once you do! 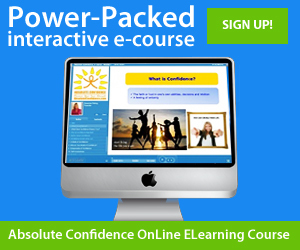 My Confidence Coaching aims to develop your self-confidence, self-esteem, your strengths, talents and gifts. I will help you overcome your limiting beliefs, bad habits and negative patterns and develop new positive beliefs, habits and patterns. Whether it's for business or for your social life, confidence is a skill which can be learned and I am the one who can teach it to anyone. If you are ready to create REAL and LASTING positive change in your life and become the confident you, please contact me right now. Don't waste another day being unhappy, you are reading this for a reason 😉 I'm waiting to hear from you, and I'll be happy to give you a complimentary session!